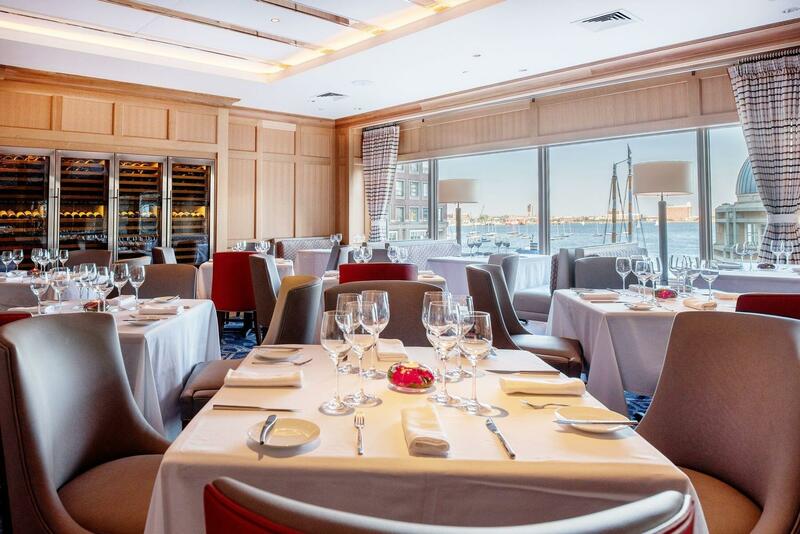 Twenty-nine years ago, when Chef Daniel Bruce was one of the country’s most promising young culinary talents, he was lured into the kitchens of Boston’s landmark waterfront hotel, the Five Star Boston Harbor Hotel at Rowes Wharf. Almost immediately upon taking the reins, his passion for pairing the flavors in food and wine launched the hotel’s most successful ongoing event, the Boston Wine Festival. Twenty-nine seasons later, the Festival has evolved into a world renowned series featuring winemakers from some of the world’s best wineries. Born in England and raised in the small suburb of Brighton, Michigan, General Manager Rebekah Jackson began her exciting restaurant career at the young age of 21. Rebekah’s passion for restaurants began when she worked as a Bartender and Waitress at a local Italian eatery. When she decided to pursue an education in art at Mass College of Art and Design she knew she also wanted to continue a career in food and beverage. Throughout college and beyond, Rebekah worked as a hostess and eventually as Manager at fine-dining Boston restaurant, L’Espalier. After 4 years at L’Espalier, Rebekah joined the Meritage team as Assistant Manager and now serves as General Manager, working closely with Chef Daniel Bruce while overseeing a talented team of wine and hospitality experts. As a formally trained painter, Rebekah finds sincere appreciation in the beautiful and artistic approach to many of the Meritage dishes. Using this artistic talent, Rebekah has enjoyed utilizing her creativity on the Meritage social media pages and website. Serving as our in-house photographer, Rebekah has been able to explore Meritage at quite literally every angle, successfully blending her passion for art and food. When she’s not in the Restaurant, Rebekah enjoys painting the many people, places, and things of Boston and spending time with her dog in the Public Garden. Sommelier Ben Oram fully embodies the Meritage mission to perfectly pair fine wine with dynamic and creative dishes. Bens interest in hospitality began at the young age of 10 when he began helping in the kitchens of his father’s restaurants. When he was finally old enough to move to the front of the house, Ben worked a variety of positions including busser, server, bartender, host, and eventually sommelier, gaining an immense understanding to all aspects of the restaurant industry along the way. Bens passion for wine began on a trip to Italy when he was just 16 years old. As he was hiking through the scenic hills of Cinque Terre he noticed the abundance of small family vineyards. He admired the Italian culture and how wine was so infused into their every-day lives, realizing then that wine was much more than just a bottle on the dinner table. After college, Ben decided to blend his passion for hospitality and wine by pursuing a formal education in becoming a sommelier. Ben has completed the BU Wine Program, WSET Level III, and is currently pursuing the Advanced Sommelier Certification from the Court of Master Sommelier. Serving as the go-to for all beverage questions, Ben has found a love for teaching and interacting with guests and colleagues. His mission is to always enhance a guests dining experience with memorable food and beverage pairings while offering an unparalleled hospitality experience. When Ben is not in the restaurant, he enjoys working as Chairman of the Boston Sommelier Society, helping educate many fellow wine professionals. Ben has been an invaluable member to the Boston Harbor Hotel team for over 11 years.